A year after the murder of Maltese investigative journalist Daphne Caruana Galizia, the EPP Group in the European Parliament has organised a public hearing entitled ‘The fight for the truth: free and independent journalism in today’s world’, with the aim of increasing awareness of the importance of having free and independent journalists across Europe and beyond. The EPP Group says it takes an active role in ensuring that journalists are protected, and in pushing for independent investigations following the murders of Daphne Caruana Galizia in Malta and Jan Kuciak in Slovakia. 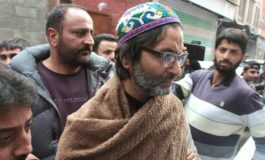 A spokesman said, "Here, we are not only talking about freedom of expression, but about the basic right to factual information. Citizens deserve to know what people in authority are doing, and they can only be provided with such information if journalists are left to do their work without interference, and in the most free and independent manner. 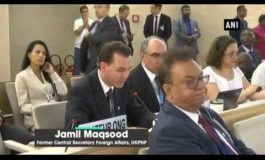 One of the main speakers of the hearing is the son of the Maltese murdered journalist, Matthew Caruana Galizia, who is also a journalist himself, having won the Pulitzer Prize. 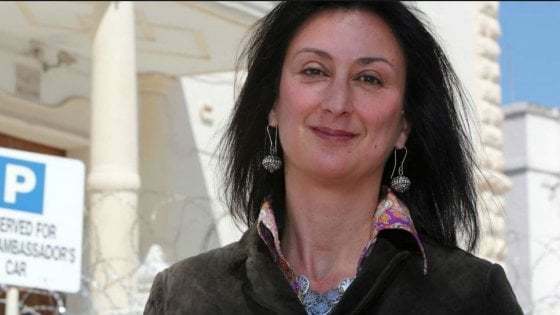 In his intervention, Matthew Caruana Galizia is expected to describe the number of threats which his mother had received before her murder and the role that digital journalism has in today’s world. Besides MEPs from the EPP Group, other speakers include a former Managing Editor of El País Daniel Alandete, and the Editor-in-Chief of Charter97.org Natallia Radzina. Paz Ferrin Quiles, who is a journalist and expert in political communication, will speak about the use of Artificial Intelligence in disinformation. A statement by First Vice-President Timmermans said, "Today marks one year since the assassination of Daphne Caruana Galizia. Today, we honour the hard work and relentlessness of Daphne, of Jan Kuciak and many other journalists who sacrifice everything they have – sometimes even their lives – to seek the truth. "It is also an occasion, for Europe, to pause for a moment and think about what we hold dear: our right to speak freely. The Commission stands firm on the protection of free speech and free media. Democracy cannot survive if journalists are no longer able to report freely, if they are subject to censorship, if they are prevented from reporting criticism of the powers that be and especially if they are intimidated, harassed, threatened and sometimes even killed just for doing their job. "Theirs is a job democracy relies and depends upon. (…) We don't want these murders to have a chilling effect on free media. Citizens should be able to form their own opinions based on unhampered investigation and independent reporting. That is why the persons responsible for these assassinations must be brought to justice. We want the full truth. We need to send a clear signal to all journalists: it is safe to work in Europe. If journalists are silenced, so is democracy. This will not happen in Europe. Not on our watch." More comment came from German Greens MEP Sven Giegold who said, "Daphne Caruana Galizia paid the ultimate price for her fearless reporting into corruption and organised crime in Malta, which reached right to the very top of the island's elite. "It is a stain on Malta that the people who organised her assassination have still not been caught. It is shameful that Daphne CaruanaGalizia's name and reputation are still being dragged through the mud in Malta. The libel cases against Daphne must finally be withdrawn. "All revelations by the Daphne Project consortium of journalists, covering her unfinished work, must be followed up by official investigations. Malta must turn away from being a money laundering paradise into a state with fully functioning rule of law. It is intolerable that Minister Konrad Mizzi and Keith Schembri, the Prime Minister's Chief of Staff, are still in office, even though strong evidence of corruption has been officially established and even published. "Antonio Tajani, the President of the European Parliament, must create a Daphne Caruana Galizia Prize for investigative journalists. It is overdue to realize this call by the Parliament’s plenary voted on the demand of the Greens/EFA group. Those who make public what governments want to sweep under the rug deserve applause, recognition and protection."